What sets Quality 1st Concrete apart from other concrete delivery companies is that we mix our concrete right on site. This is beneficial in so many ways! Mixing the concrete on site enables the customer to choose the consistency of the mix on the spot. Our concrete specialist is there to make sure that they are satisfied with the consistency and quality, and if the customer is not satisfied, all they have to do is change the ratios of sand, stone, and water. In addition to enabling total control over concrete consistency, mixing the concrete right on site elimiates waste- which allows the customer to pay only for what they use. 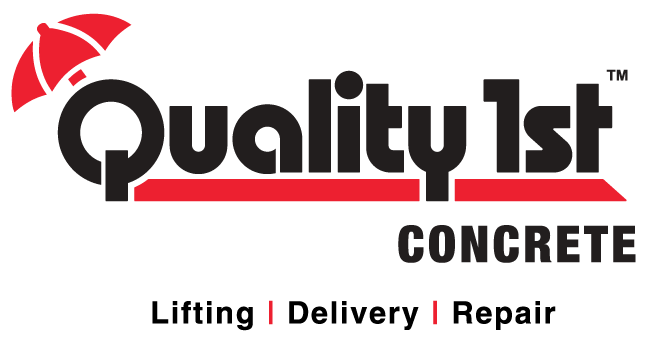 Quality 1st concrete delivers 24/7 because we have the materials to mix on hand, we don't have to wait on the plants to open. Click through the photos in this gallery to see the process for yourself!